The NSW government is to reveal the winning bidder from a short-list of six local and overseas-based investors this week for its $150 million-plus sale of the Justice Precinct in Parramatta. 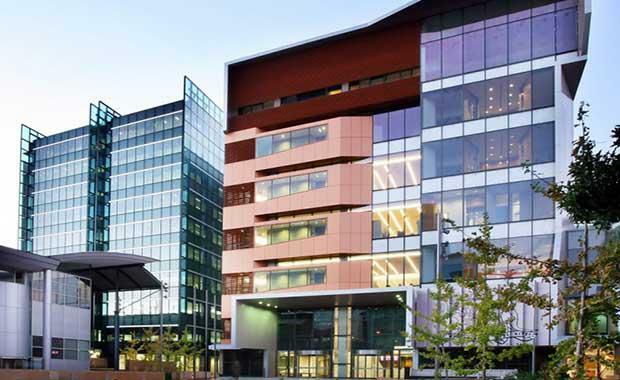 According to the Sydney Morning Herald likely contenders include Growthpoint, which this year bought the Parramatta police headquarters, Eureka Funds Management, ISPT, and Singaporean and Chinese-based commercial property specialists. Agents CBRE and Knight Frank were unable to comment as the final bidding process was taken in-house by the NSW government. The A-grade properties at 160 Marsden Street and 4 George Street invited tenders in August with the first round of expressions of interest due in early September. The deal involves the government maintaining leases of 12 years. At the time of the tender release, Finance Minister Dominic Perrottet said the sale would allow the government to invest more in infrastructure such as WestConnex and road upgrades. "The NSW government is keen to continue its presence in Sydney's west, with both sites offered for purchase with a leaseback to the government for a period of up to 12 years," Mr Perrottet said. The government has sold about $400 million worth of office assets in and around Sydney in the past two years, with the sale of Lands and Education buildings, called the Sandstone properties, also under way. The Parramatta City Council is celebrating the signing of a $1 million environmental upgrade agreement to revitalise a classic CBD office tower and improve its energy efficiency. News of the successful Justice Precinct bidder comes as the lord mayor of Parramatta, Cr Scott Lloyd, said 20 Macquarie Street – the original 1960s AMP building – would undergo major upgrades to its interior, exterior and building services. "Importantly, this project will be funded by our council's environmental upgrade agreement program. This new form of finance provides 100 per cent upfront capital, with fixed interest loan terms of up to 20 years," Cr Lloyd said. Dr Lionel Chang, chairman of M20 Pty Ltd, which owns the building, said the environmental upgrade agreement finance was invaluable to realise the ambitious plans to create a highly contemporary building in the centre of Parramatta. Investors are also being called on to bid for the proposed development of the City Tattersalls Club's Pitt Street premises in Sydney's CBD. The original developer, Mirvac, decided not to proceed. Colliers International's national director of capital markets, Jon Chomley, said the development would include 30 floors of residential apartments, amid big demand in Sydney's CDB. "Spurred on by continuing low interest rates and intense competition from local and foreign buyers, residential property in the Sydney CBD has experienced significant value growth as evidenced by recent sales of off-the-plan apartments in the CBD," he said.